“In an evolutionary sense, we don’t have any time to adapt." It’s the planet’s largest and highest plateau stretching between Tibet, China, and India. At nearly 5 kilometers (3 miles) above the sea, the plateau’s as tall as the highest of the Rocky Mountains. Up there, the scientists say, the air is the clearest you’ll ever see. At the surface, prehistoric lakes dot a barren landscape shaped by powerful winds, snow, and widely changing temperatures. At the plateau, “there are magnificent and mysterious sceneries that you can’t find anywhere else,” Ticao Zhang, an associate professor of botany at the Chinese Academy of Sciences in Beijing, said in an email to Futurism. Getting there is about as easy as it sounds (read: not at all). The trip starts from either Kathmandu, Nepal, or Chengdu, China. The journey — a short flight, followed by a long trek — takes about a week. Continuous rock-falls and altitude sickness are just two of the problems explorers who take the trek face without fail. But still, year after year, the scientists make the trek. They do so to collect samples of the unique plants and microbes that, despite the odds, live and thrive there. With its average annual temperature hovering around -4 degrees C (39.2 degrees F), low levels of oxygen, frozen soil, and strong ultraviolet radiation (UV), the plateau is one of the most extreme environments on Earth. Climate change is only amplifying these inhospitable conditions. Researchers like Zhang suspect that environments like these could indicate what the world could be like if climate change ravages the planet in line with experts’ most extreme predictions. As weather gets more extreme, seas rise, temperatures escalate, and dry places get drier, crops that traditionally grow in these places will be more difficult to sustain. Agricultural researchers are already working to engineer crops that can withstand a wider range of environmental conditions to feed a growing human population, and some feel that extremophiles — organisms that thrive under extreme conditions — might hold the key. But first, scientists have to understand how plants have evolved throughout millennia to survive under such harsh conditions. “Understanding how organisms adapt to extreme environments could make a significant contribution to evolutionary ecology,” said Zhang. However, little genome-based research has been conducted on plants in this region, the most biodiverse of the world’s extreme environments. Which is exactly why the trek is made in the first place: These researchers are attempting to fill this gap, which may or may not hold the keys to humanity’s survival. LIFE PERSISTS where you might least expect it — under polar ice, inside hot springs, on depleted soils of the Himalayan plateau. And the process enabling bacteria to live in these environments isn’t restricted to microbes. Previous studies have explored how humans and vertebrates also evolve to adapt to environments with little oxygen, powerful sunlight, or cold temperatures. Scientists believe that the distinctive life forms that arise as a result may also, in some cases, be genetically unique. “Extreme environments are those that we think host the highest additional, unexplored diversity,” Nikos Kyrpides, who leads the Genome Biology Program at the Joint Genome Institute of the U.S. Department of Energy, told Futurism. His program invites scientists from across the world to submit their genetic samples — including soils, plants, and microbes — for sequencing and analysis. What scientists find in these extreme environments can be useful for human industry and food security. In extreme cold, for example, “you have lots of animals that are used to living at zero degrees or just below, and they could potentially have some very useful functions for society,” Melody Clark, a molecular biologist at the British Antarctic Survey, told Futurism. Scientists could look across a range of species that live in these environments for enzymes that make those species well adapted to low temperatures, potentially useful data for industrial products, so we don’t have to use any additional thermal energy to get things to work, Clark said. Scientists can use enzymes extracted from extremophiles living under 0 degrees C to produce detergents that work at room temperature, or to process foods such as cheese and wine at an industrial scale. Some microorganisms that have evolved to survive in highly polluted environments also decontaminate polluted water, a process that scientists call bioremediation. Hot regions, on the other hand, are going to expand worldwide, Clark said, “so we need to understand what lives there, how they live there, and how we can potentially exploit that,” by adding their genes to our crops. A variety of plants, such as agave and aloe, currently survive high temperatures and drought conditions, she explained, by losing very little water during respiration. The tiny pores on the leaves, called stomata, are programmed to remain closed during the day and open at night when it’s cooler, so they can collect carbon dioxide without losing much water in the process. 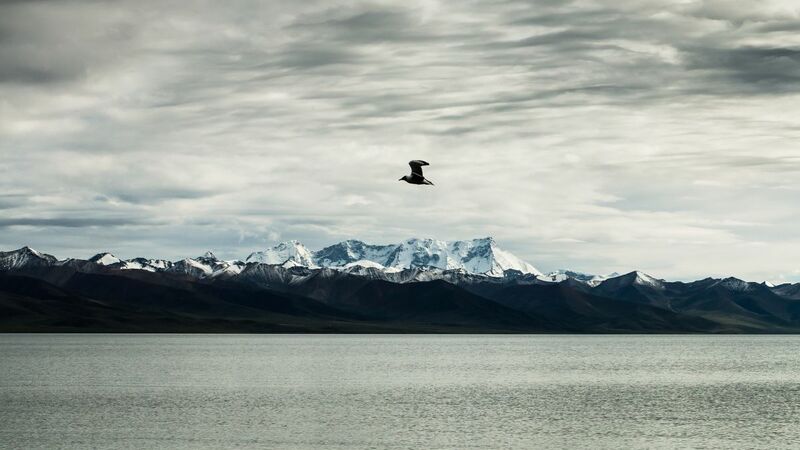 On the Tibetan Plateau, researchers set out to better understand already-discovered species that might prove to be similarly useful. 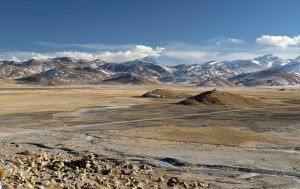 After a casual meeting through a mutual acquaintance that led to a decade-long partnership, the team of Chinese and British researchers became obsessed with unlocking the secrets of the toughest terrestrial environment on Earth. Over the years, the researchers have zeroed in on several species of plants and bacteria that have evolved to withstand extreme winds, lack of water, and dramatic changes in temperatures typical of the QTP. The project has passed from one generation of researchers to another; Yang Zhong, one of the scientists who first worked on the QTP, passed away recently, leaving his discoveries as his legacy. The group described the species’ genomes in a series of papers published in a range of scientific journals, including Nature and Scientific Reports, between 2009 and 2016. Cells communicate with one another through a series of chemical signals that control various functions, such as reproduction and the shape of the new cells. 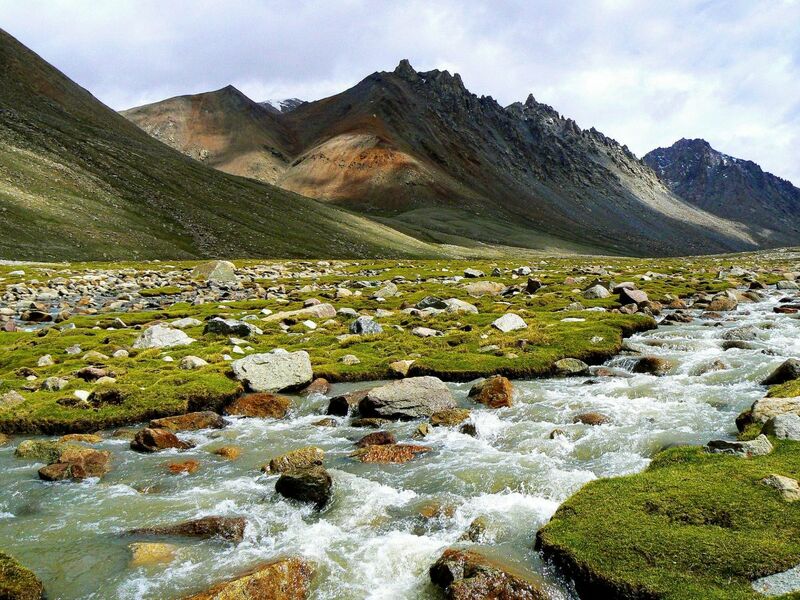 Through their work on the Tibetan Plateau, the research team found that the plants and bacteria they were studying contain specific genes that signal cells to produce a stronger outer membrane, making them more able to withstand a harsh environment by reducing water losses. The plants’ genes also caused the organism to produce higher levels of an amino acid that protects key parts of the cell from harmful UV rays. Crabbe said that identifying genes that help organisms survive in conditions with a lot of carbon dioxide or little water will enable plants to survive under future climate change on the planet. Plants such as the Tibetan variety of the Thale cress, the genome of which the team sequenced in 2016, had thousands of years to adapt to their extreme environment. There is a chance that more parts of the planet will have to contend with similar conditions, but adapt to live with them in less than a century; the genetic codes of these plants could be models from which researchers can engineer future, hardier crops. THE PRESENT MOMENT is critical for this research, as a growing preponderance of evidence has scientists globally in agreement: the Earth’s climate will become more erratic in coming centuries, turning some regions drier and others wetter. A recent study in Nature Communications noted that melting polar caps will not only trigger sea level rise, but could also cause other regions such as California to become drier, increasing the risk of desertification and wildfires. And while the 2015 Paris Accord united (almost all) the members of the United Nations in an effort to limit climate change’s damage, models predict that we’re unlikely to meet its ambitious target, leaving fragile ecosystems vulnerable to destruction. The authors of one recent study concluded that, even if the target was reached, we would be left with a significantly drier world. The Food and Agriculture Organization estimates that by 2050, the world’s population will reach 10 billion, and we’ll need about 50 percent more crops than what we’re producing today. In vulnerable regions such as the Horn of Africa, where drought already hinders food production, this could mean the collapse of entire food systems — and ultimately, the death or displacement of millions of people. But it’s not only developing countries that are at risk. Globally, food prices will become more volatile, as extreme events such as hurricanes or drought hit different parts of the world, endangering or destroying crops. As more people worldwide make money to buy more meat, we’ll need to produce food for animals as well as ourselves, which will deplete soils and increase the need for fertilizers. Experts have suggested some preventative measures, such as meat or carbon taxes, but they wouldn’t be easy to implement. WHILE THESE DEVELOPMENTS encourage the researchers in their pursuit of weird life on the Qinghai-Tibet Plateau, there is still a long way to go before what they learn can be integrated into our crops. First, they have to ensure that these genetic changes are actually behind the specific adaptations that make the plants and bacteria successful, not some random mutation or other factor they didn’t take into account. “We have shown that these genes are enhanced in the plants that have survived,” said Crabbe, “but the question is: Are those genes actually involved in the adaptation?” The team is now studying the physiology of the plants and microbes to try and answer the question. To do so, the scientists will grow the plants under controlled conditions, to understand how the unique genetics and proteins of the plants collected on the QTP translate into the hardiness that guarantees the species’ survival. Plants such as the Tibetan Thale Cress, for example, might flower more quickly in order to preserve energy under extreme conditions, Crabbe explained. That’s what a lot of the initial experiments are showing: different ways that plants find to conserve energy. “You have to look at how plants survive, and only after that you can think about how to make them more productive under extreme conditions,” Crabbe said. Crabbe and Zhang aren’t the only ones studying organisms in extreme environments to augment our food supply. While they focus on understanding what keeps plants alive, other researchers are studying ways in which crops can produce more food in less space, all outside the conventional environments where farmers usually grow them. Instead of searching for hardy plants in remote corners of the world, researchers from the University of Illinois are looking at species that we already use for food as the best bet to boost food security fast. Their project, Soy Free-Air Gas Concentration Enrichment (SoyFACE) helps the researchers evaluate the impact of an altered atmosphere, higher temperature, and limited water on crops such as soybeans and maize. Their goal: to isolate those that perform better under environmental stress. Individual crops — or their genetic traits — that perform well under future environmental conditions could help researchers develop new breeds to feed the world. 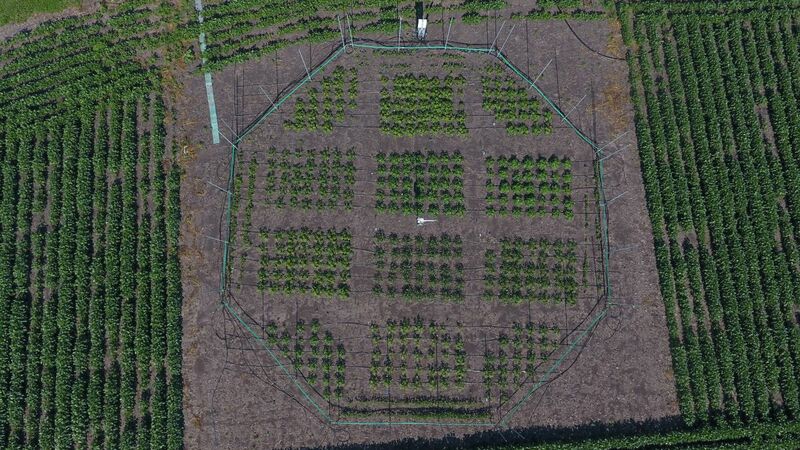 To achieve that, they devised a ring-like structure that surrounds large swathes of crops, exposing them to higher levels of carbon dioxide and ozone. The facility recreates the atmospheric compositions predicted for 2050, when carbon dioxide is expected to reach 600 parts per million (ppm), more than double the levels seen at the start of the Industrial Revolution (around 260 ppm). The ring releases gases that spread with the wind. Because of its architecture, the ring traps the gases without letting them disperse. For a growing number of ecosystems, and the unique species perfectly adapted to them, time is running out. Many fear that the organisms living in extreme environments will disappear before we can even discover them, but the researchers on their way to the QTP don’t fret. When the time comes, they embark on the same journey once again, in search of humble plants hiding those special genes, diamonds in the rough. Research into crop engineering is progressing quickly, but the scientists show their sense of urgency in their persistence, their willingness to expend the energy and resources to make the same trek, year after year, in the hope of pushing their knowledge just a tiny bit further. This patient hunt, he believes, will have huge implications for future generations. It could be the hunt for our survival — an answer, of course, that starts somewhere life’s least likely to persist.